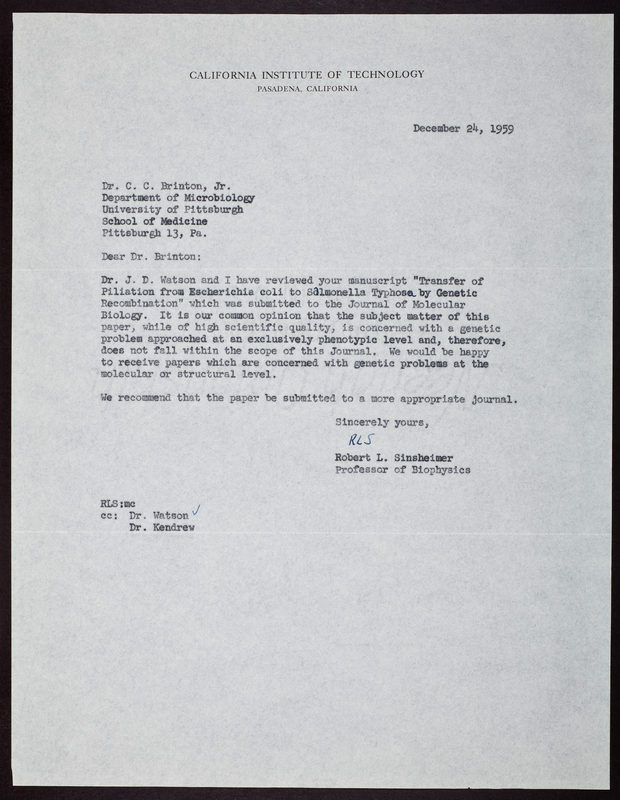 CSHL Archives Repository | Letter from Robert L. Sinsheimer to C.C. Brinton, Jr.
Letter from Robert L. Sinsheimer to C.C. Brinton, Jr.
Sinsheimer, Robert, “Letter from Robert L. Sinsheimer to C.C. Brinton, Jr.,” CSHL Archives Repository, Reference JDW/2/2/1683/29, accessed April 19, 2019, http://libgallery.cshl.edu/items/show/86669.